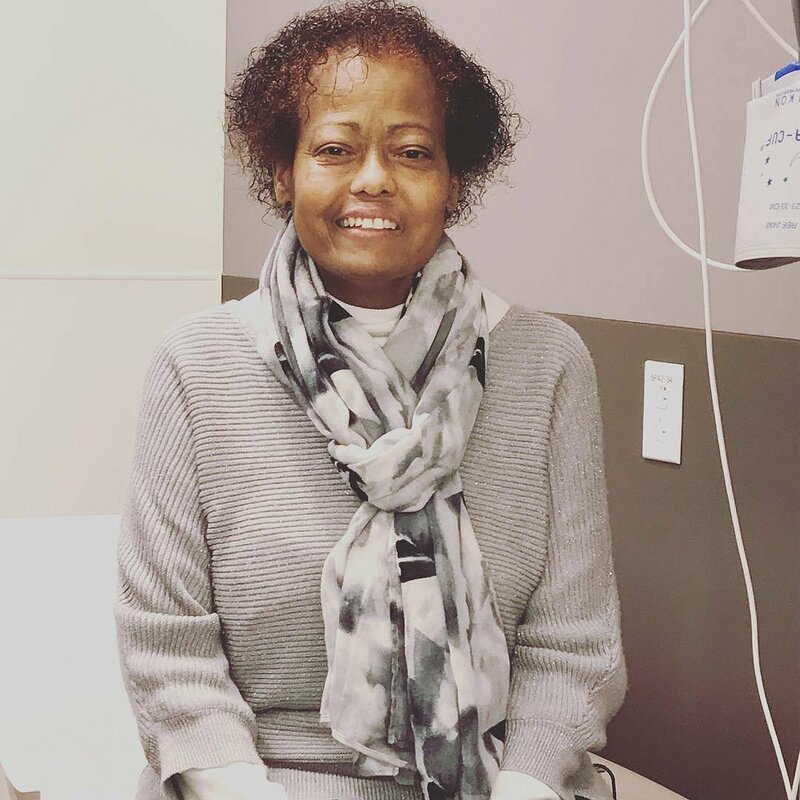 Donate to Southwest Transplant Fund in honor of Elaine I. Lundy, M.D. In honor of Elaine I. Lundy, M.D. This journey has been going on over the course of at least 12 years. Most of that time, I was unaware of the seriousness of it. Thank God for such blessings. The last three or so years have been very intense. I figure God needed to show me, teach me, strengthen me and do whatever He needed to do with me so I could be ready. Most days I don’t feel ready, but I only have to claim his promise that in my weakness, HE is strong. Three years ago, November 2014, I was admitted for Pneumonia at Sutter Roseville Medical Center. I dared to go into respiratory arrest a couple hours after admission–God brought me back via the assistance of some well-trained, organized medical providers. BTW, we have never seen the main doctor who ran that code again! I spent 2 more stays at Sutter Roseville and one at Sierra Nevada Medical Hospital between December 2014 and March 2015. We (my daughter, Nicole, son-in-law, Dre, and Karen, my sister-in-law) attended Stanford Medical health in April 2015–We had a week of appointments scheduled. I was admitted for severe Pulmonary Arterial hypertension on the third day and was incarcerated for about 10 days after that. Stanford came up with some super strong Meds that helped (mostly) a lot. They saw me for several days each month but eventually rejected me for lung transplant. Little did we know that was lung transplant 101 class. UCSF was never afraid of whatever Stanford feared. They started me off super fast, but then slowed down to ‘stop’. Nicole came up with the idea of three of us inundating them with calls. They took the bait! At that point, ‘they’ had not noticed that I was on 10 liters of oxygen per minute. Once aware of that, they did everything to get me on THE LIST! The biggest hurdle was financial and many of my loved ones, and even peeps that did not know me, rose to the occasion and donated money’s to the Help Hope Live fundraising campaign. I was listed April 14, 2017 at 2 pm, and CALLED on MAY 5th at 11:00 am, 3 hours short of three weeks.. LOOK AT GOD! The Pre-lung transplant coordinator told me to bring all my oxygen, Meds etc because it was 50:50 that I would get the transplant. They didn’t realize that those were my lungs!!!! A successful double lung transplant that was completed in the wee hours of May 6th. I was golden in the hospital, ahead of everyone. They just happened to have done 3 other lung transplant operations that week. I was discharged on May 19th and CODED from a heart attack on MAY 23rd after seeing the Doctor that very morning, getting a clean bill of health, and picking up Meds from the pharmacy across the street. My favorite gal, who also happens to be my daughter, Nicole, held it together, solicited the help of the only two men in the parking garage; together they got me across the street to the emergency room, where they flung me around and did massively, intense CPR; God used them to bring me back. Back in the ICU!!! Having had my favorite sweater cut off and losing my favorite reading glasses. Diagnosed as having ‘Flash Pulmonary Edema’ related to high blood pressures for a few days. Of course I remember nothing. I (We) were all a little bit shy at the next discharge, very nervous when I went to the pharmacy that next week. But hey, I’m making progress baby! I have more uncomfortable procedures to go through, But GOD has that TOO. Here I stand down da road at the intersection of Faith Street, Compound Interest Avenue, Belief Lane and God’s Narrow Way. Meet me there, I’m waiting on you! Elaine you are always in my thoughts and prayers. I pray that The Lord bless and keep you; The Lord make his face shine on you and be gracious to you; The Lord turn his face toward you and give you peace. May the grace of God be with you and your family. Dr. John Reynolds gave me your name and information. Dr. Lundy, I am so very sorry to hear of your burden. I remember when you were here in Abaco, how you commented to me one day outside of clinic that I needed to be careful of how much sun burn I am getting. I have often wondered where you ended up after leaving Abaco. I will be praying for you, and it is my sincere hope that you are able to get the surgery, etc. that you need. God Bless you. I have no idea who you are, but my friend Michelle Roach-Bailey posted your campaign on FB and I wanted to contribute. Wishing you all the best. Good bless. Hi Elaine. I haven't seen you for several years now but was surprised to hear that your health had deteriorated. Michael and I join your friends and family in praying that God will work this miracle for you to get the transplant you need. God is able to do above what we can ask or think. Please stay encouraged that He loves you and cares so much for you. Michael and I will donate to this fund and pray that God will use the funds to assist you with what you need. God bless you and keep fighting. Praying for you Dr. Lundy. I've known you for so many years and know you are a fighter!! God is the great physician and still in the business of granting miracles. Love always Sharina!!! Praying for you my dear, Dr. Elaine. Sending something. Blessings Dr. Lundy. It was such fun working with you. You are loved and God will take care of your needs without delay. My thoughts and prayers for such a awesome wonderful Doctor! A beautiful person inside and out. God in you we put our trust. Continue to trust HIM. Praying for you Dr. Lundy. prayers and blessing to a very good doctor .god bless you and keep you. My heart goes out to you, Dr. Lundy and will be praying for you and your needs daily. Remembering the many years you served us in Abaco. You were always there for us. God bless. our prayers and financial support are with you. Dr. Lundy was my family doctor for two of my pregnancies. Elaine my personal prayers are with you and the prayers of the GHS class of 71. We don't know God's plans for us but rest assured that he alone knows our innermost thoughts and needs. You have been a faithful servant.